Flair’s career came very close to ending in October of 1975, when he was only 26 years old. In a disastrous plane crash that killed the pilot and paralyzed another wrestler, he broke his back in 3 places and was told by doctors that he would never wrestle again. Flair conducted a rigorous physical therapy schedule, however, and was able to return to the ring just eight months later. 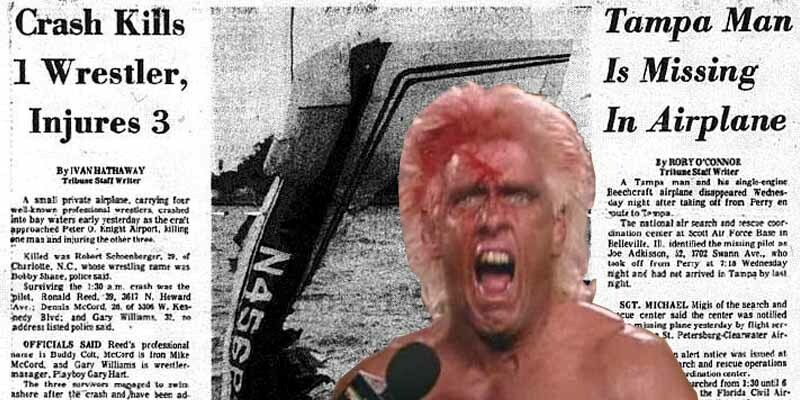 As tragic as the crash was, we can thank it for giving us the Nature Boy we know today because it was those injuries that made him go from a power brawling style to the more cerebral submission-based one that helped make him so famous.